Widnes Vikings prop Paul Johnson has signed a two-year contract extension. 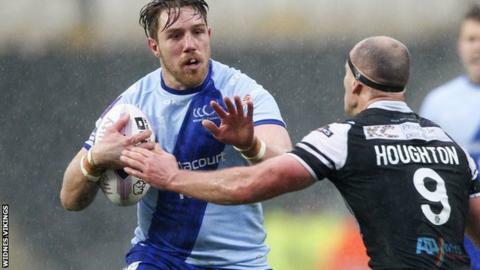 The 26-year-old former Hull FC man joined the Vikings on a one-year deal in October and has made seven Super League appearances this season. Vikings coach Denis Betts said: "Paul is a person of real quality and he's a great bloke to have around the club. "We knew as soon as he got settled and in an environment that he's happy with we'd get the best out of him and that's proven to be the case."